Over the weekend, we were shocked by the news of the brutal shooting/killing of one of our young men from the Rawlins area. 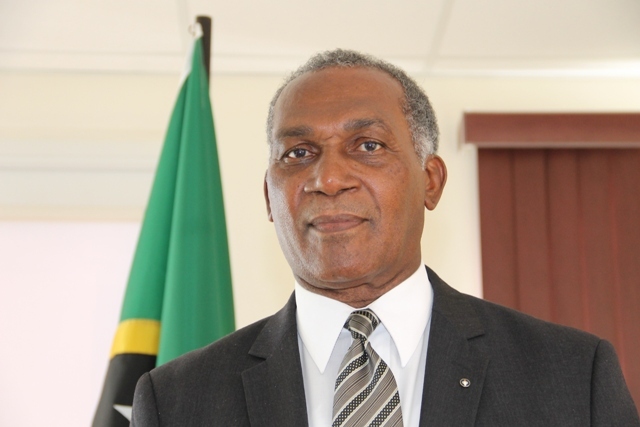 I have expressed to the family my condolences but speaking as the representative of the area and the Minister responsible for Security in Nevis, it is painful that we are still experiencing this wanton slaying and loss of life. I want to make an appeal, even as I express my condolence to the family, on the seriously sad occurrence that took place this afternoon, at a cricket game in the village of Cotton Ground, a time when young men have gathered to recreate themselves to engage in an activity which, I believe is so wholesome, that we should have that kind of activity. That action, snuffing out of a life, is really for me, hard to comprehend. I really wish that our people, our young men, our young women, older people, parents, guardians that we would continue where we have started to see that we have a role to play in getting rid of the scourge of violent crimes in our country, not just gun crime but crime of any sort. Whether it is break-in or it is indiscipline, whether it is infraction of the law – parking in a place where one should not park, indiscriminate dumping of refuse, these are all symptoms of indiscipline in our society, and I want to say to us, we should all see this act as one which we will tell ourselves that we are not going to tolerate this anymore. So parents, if you know your children are involved in any kind of illegal activity, I am imploring you to take the necessary steps to get them to desist. It is not doing the country any good. It is not doing our reputation any good and as I have said many times, we are a country which depends on providing a safe and secure environment to attract investment, to attract visitors because those are the lifelines of our economy. Those are the lifelines which allow us to provide jobs for the very young people, some of whom say they don’t have jobs. I just want to express to Estelle and to Chappy, the father and to the whole Freeman Family, my condolence. I pray that this may not happen again. May God bless us. May God protect us. I make this statement really with deep sadness in my heart. God bless you.